In a mini-review published in “ADC Letters for infectious disease control”, Eto A. and Kanatani Y. explain how Japan is preparing for a possible bioterrorist attack. The strategy to make Japan “the safest country in the world” is based on a “Sakigake” pilot project to promote the development of innovative drugs and other medical devices. The strengthening of medical countermeasures to fight the natural outbreak of epidemics also implies increased surveillance of bioterrorism and therefore the use of therapeutic or prophylactic agents against the germs of bioterrorism, which are more rarely encountered, and it is also an opportunity for us to make a clear distinction between a natural epidemic and an epidemic caused by a bioterrorist act. In 1993, eight years before the anthrax envelopes attacks in the United States, the Aum sect had sprayed Bacillus anthracis spores from the roof of a building in Kameido near Tokyo. Only the terrible smell had caught the attention of the residents. There were no victims and it was only in the early 2000s that environmental samples revealed the presence of the pathogenic strain. Twenty years have passed: large-scale bioterrorist attacks are rare and peacetime must therefore be used to develop medical countermeasures specifically for bioterrorism. It is the intentional spread of biological agents (viruses, bacteria, fungi and toxins). + the risk of the appearance of germs with increased virulence (infectivity, antibiotic resistance…) by using new molecular biology tools is not zero (Crispr/Cas9). All these points must be taken into account when strengthening medical countermeasures specific to bioterrorism. The effort focuses mainly on germs classified “A” by the CDC of Atlanta: easy spread, easy-to-transmit from person to person, high mortality, major impact on the health of the population, massive disruption of public structures due to panic and disruptions in the social structure. 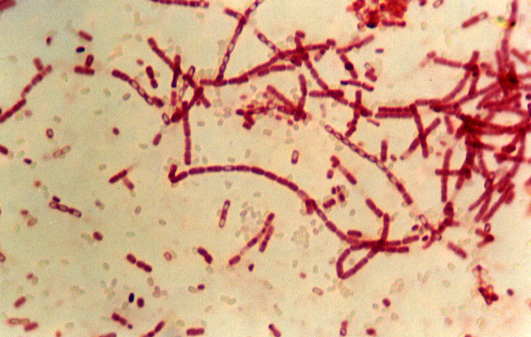 The most monitored germs of this class A are: Bacillus anthracis (anthrax disease), Yersinia pestis (Plague), Francisella tularensis (Tularemia), smallpox virus, haemorrhagic fever virus (Lassa, Ebola…), botulinum toxin (from Clostridum botulinum).Since the events of 2001, the Japanese government has done a lot of work in the field of CBRN: development of vaccines, coordination between the structures responsible for bioterrorism follow-up (administrations, first aid, coastguards, etc., and medical authorities), strict management of biological and chemical products involved in CBRN. The usual monitoring of the occurrence of natural epidemics should be extended to the detection of bioterrorism. Detection is fundamental: the abnormal increase in suspicious cases is a warning sign: infections are very well monitored by practitioners who report the information to a specialized agency. When an outbreak is suspected, an epidemiological investigation is quickly initiated in order to identify the germ involved as quickly as possible. New identification methods such as mass spectroscopy (TOF-MS) are also being tested. This rapid identification will allow prophylactic and/or curative measures to be implemented under the best possible conditions. If Japan has purchased a smallpox vaccine, it should be noted that, in general, the production of vaccines and other medicines to build up stocks is not sufficient. Moreover, as these events are relatively rare, the manufacture and testing of products for medical countermeasures cannot be carried out under the same conditions as for conventional pharmaceutical products. As the 2020 Olympic Games are being prepared, bioterrorism is becoming more and more prominent. The social repercussions and disorders caused by such an event would be very significant. The use of medical countermeasures for infectious diseases would be able to mitigate their harmful consequences. Better public health monitoring and rapid and reliable diagnosis of the germs involved, including their resistance to antibiotics, must be developed in microbiology laboratories. The challenges of developing vaccines and drugs (antibacterials, antivirals…) for these rare events are very important. Eto A, Kanatani Y. Countering bioterrorism: current status and challenges – a focus on pharmaceutical products and vaccines. ADC Let. Infec. Dis. Cont., 2018, 5, 50-52. This entry was posted in blog-en and tagged biological agent, Detection, Prévention. Bookmark the permalink.